There are a lot of food tasting events in San Diego and maybe even more beer festivals, but not many gatherings concentrate equally on both! This March at the Handlery Hotel & Resort, come for the beer, stay for the food, or come for the food, and stay for the beer! Either way, get your tickets now for the 4th Annual Mission Valley Craft Beer and Food Festival, as on Sunday, March 24th from 2-5pm (1pm for VIP), 30 breweries, 20 chefs, and 4 bands will join together in serving up the best in local craft beer, rocking out some SoCal music, and providing gourmet bites from some of San Diego's best eateries. What started as a small fundraiser has evolved and developed into one of the most anticipated festivals San Diego has to offer. Combining the best of San Diego's thriving restaurant and craft beer scene, this year's Mission Valley Craft Beer and Food Festival will continue to improve on year's past, offering more breweries and bites than ever before, all in an expanded outdoor setting at the Handlery Hotel. To keep the party rolling, the Handlery will be hosting an after party in its fabulous, poolside Reef Lounge (+$8 for admission), with food and beverage specials and yet another band. Most beer festivals are all about standing in line to get your taster only to stand in another line for another taster. Food is rarely provided, and even if it is, it is almost never included and always an afterthought (although having no food at a drinking event seems borderline negligent!). That’s not how it's done at the MVCBF Festival, as the organizers know and believe that beer AND food are natural partners, so they offer a wide variety of both. All the food vendors are chefs who bring their “A” game to the table at this annual event. "Great beer has a natural affinity for great food. That’s why we have always had food and that’s why we’ll ALWAYS have food. Doing it any other way would just feel wrong," explained co-organizer and chef, Karl Prohaska of the Handlery Hotel. As far as food goes, the chefs and eateries in attendance will be ready to dish out delicious grub to the packed house. Already confirmed - SanDiegoVille's Chef of the Year 2012 Anthony Sinsay of Burlap; pork connoisseur Hanis Cavin of Carnitas Snack Shack; Handlery Hotel's own Chef Karl Prohaska; comfort food aficionado Rich Sweeney of R Gang Eatery; 2012 San Diego Wine & Food Chef of the Festival Tommy Fraioli of Sea Rocket Bistro; farm-to-table guru Matt Richman of Table 926; and many more including offerings from Stone World Bistro and Slater's 50/50. From the craft beer capitol of the World - San Diego, CA, USA - in attendance will be Alesmith, Ballast Point, Coronado Brewing, El Cajon Brewing, Golden Coast Mead Company, Green Flash Brewing, Helms Brewing, Hess Brewing, Hillcrest Brewing, Karl Strauss, Latitude 33, Lightning, Mad Lab, Manzanita, Monkey Paw, On-the-Tracks, Port Brewing/Lost Abbey, Rough Draft, Saint Archer, San Diego Brewing Co, Societe, Stone Brewing Co., Thorn St, Wet-n-Reckless, and more from the surrounding area. As far as the bands go, leading off during the VIP hour will be alternative/popular rock ear candy provided by Danny and the Tramp. The middle of the festival will be manned by the dance-hall reggae groove of So*Cal Vibes. Closing the show for this stellar line-up will be the beach rock reggae of Split Finger. And for those of you attending the Reef Lounge After Party, Safety Orange, who have been at three of the four festivals, will be entertaining the crowd. The Mission Valley Craft Beer & Food Festival has again partnered with Wounded Warrior Homes, a non-profit organization that serves medically discharged, single men and women of the U.S. armed forces with Traumatic Brain Injury (TBI) and Post-Traumatic Stress Disorder (PTSD). Wounded Warrior's mission is to provide affordable housing, hands-on resources, and a defined path for each member to transition from active-duty military service to independent living as a veteran of foreign wars. Tickets to the Mission Valley Craft Beer & Food Festival can be purchased online and range in price from $25-$50. VIP are almost sold out and General Admission tickets are sure to follow, so be sure to get your tickets as soon as possible. VIP tickets offer an hour early-entry VIP hour with full access to the chefs and brewers, and VIP ticket holders will receive a free MVCBF tee shirt (while supplies and sizes last), as well as the commemorative tasting glass given to GA patrons. The Handlery Hotel and Resort is located at 950 Hotel Circle North in Mission Valley. 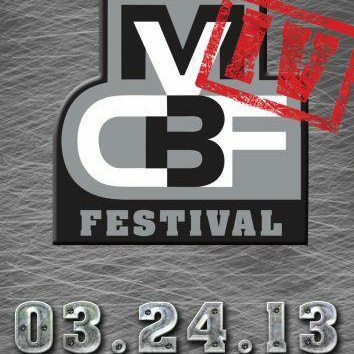 For more information on the Mission Valley Craft Beer & Food Festival, be sure to follow on Facebook and Twitter.